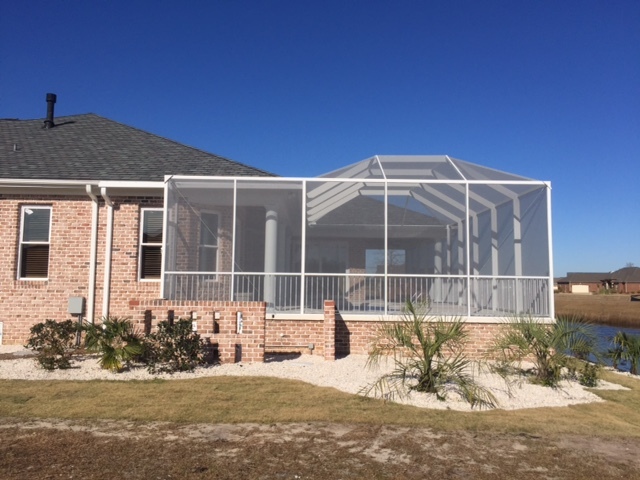 Southern Leisure Builders offers several different screen enclosure systems providing homeowners numerous options to choose from. 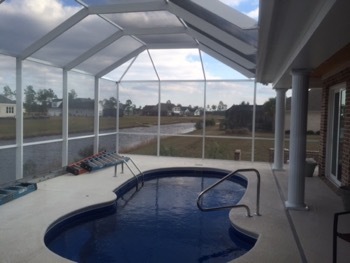 Screen enclosures are economical and custom designed to meet any homeowner’s needs. 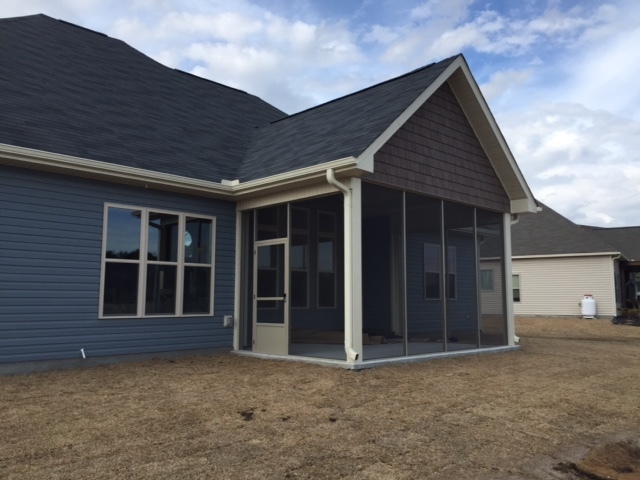 A screened in porch from Southern Leisure is the ideal choice if you want to add extra living space to your North Carolina home. That’s why our screen rooms offer the perfect solution for homeowners along the coastal region — they let you enjoy your backyard and take in the fresh air while keeping you out of the sweltering sun. For those who like to enjoy the outdoor air but want to avoid pests and harmful UV rays, our screenrooms are a perfect solution. 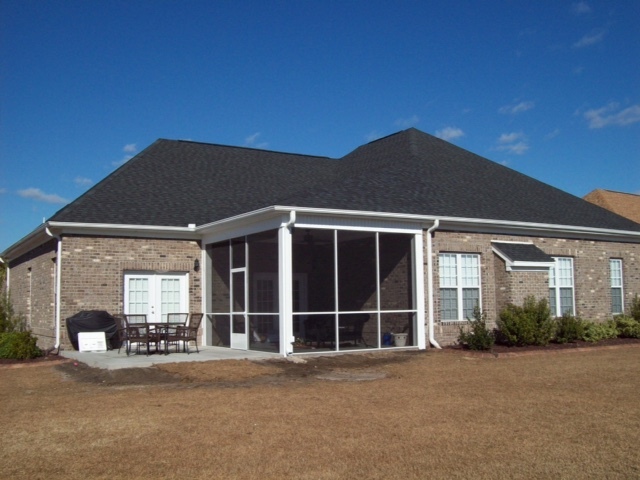 Our solid-roof screenrooms are totally enclosed to protect from insects, the sun, and minor inclement weather. Our ultimate screenrooms include wind, rain, and UV protection. Features high-quality vinyl sashes that protect against the elements and block up to 99 percent of all harmful UV rays. Solid thermal roofs deflect the sun’s heat, providing an unmatched level of protection and comfort. Attractive vaulted ceiling that is a good match for traditional construction; lower back wall height for single-story homes; glass top and bottom wall options available. Lightweight sashes are removable for maximum views and full ventilation. Screenrooms offer the flexibility to be turned into a sunroom- all that is necessary is to upgrade the sashes with HPG 2000 glass to make the sunroom of your dreams.